Sylvia (77) passed away peacefully at Ledgewood Manor in Windham on Sunday March 24th, surrounded by her family. She was the daughter of the late William and Elizabeth (Packard) Small. She grew up in New Gloucester and attended schools there. Sylvia was a longtime communicant of the Gray Congregational Church. She worked for New England Telephone Company and worked for many years at Cole Farms Restaurant and the Loving Spoonful. 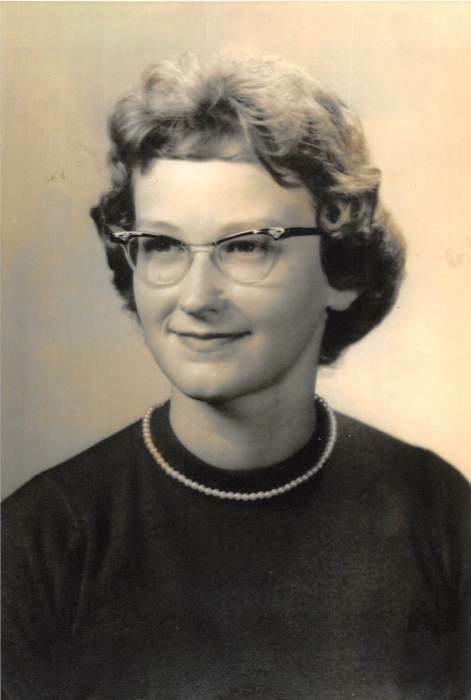 Sylvia graduated from New Gloucester High School in 1959 and was valedictorian of her class. She loved sports, especially basketball and softball. She married George Hamblet in 1961 and together they started raising their family in Gray. She enjoyed travelling to Cancun with Dan and Deborah, camping at Twin Brooks, baking , knitting and crocheting, making hats, sweaters and afghans for everyone. She loved to sit on her beach and read a good book. She enjoyed working on the church suppers and made many friends while helping serve meals at the Barnyard Café at the Cumberland Fair. She loved to spend time with all of her family, and there was always plenty of birthday parties and holidays to celebrate together. She was a wonderful sister, wife, mother and grandmother. She would grin from ear to ear when sitting with her grandsons and loved to listen to them tell stories and would always laugh at their foolishness. They adored her and loved to spend time with Brammie and Micme. She leaves behind her husband of 57 years, George C Hamblet III, four children Terry (Kristen), Lisa (Kenneth) Skilling, Craig, Christopher as well as 3 grandchildren, Branden, Jeremy and Andrew. She is survived by a sister Sherry (Frank) Lane of Gray, and Sandra Kimball (Dan Smith)of Buckfield as well as many nieces and nephews. She is predeceased by her sister Suzanne of New Gloucester and also her beloved dog Brutus. Friends and family are invited to gather at the Gray American Legion on Sunday, April 7th from 2-4. A burial will be held in May. The family would like to thank the staff at Ledgewood Manor in Windham for their care and comfort in her final weeks and days.